When we first saw the BMW M4 CS, and learned of what it packs under its skin, we immediately thought it could be the Goldilocks-variant of the M4-range. 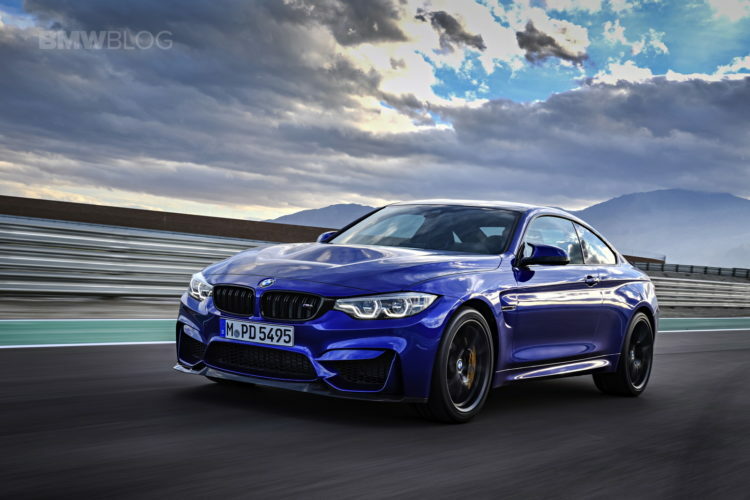 It essentially combines the BMW M4 Competition Package with a BMW M4 GTS. What you get is a car that seems to be the best pick of the range. To save some weight over the BMW M4 Competition Package, the M4 CS gets some of the lightweight tech from its bigger brother, the M4 GTS. So it gets that car’s carbon fiber hood, carbon fiber interior door panels and a more stripped out interior. All of that makes it lighter than the M4 Comp Pack and more exciting. Underneath the skin, the BMW M4 CS is basically just a slightly tuned M4 Competition Package. So it gets the same suspension as the Comp Pack, except that it’s been tuned a bit differently, so as to work better with the lighter weight and as-standard Michelin Pilot Sport Cup 2 tires. That makes it feel more focused than the Comp Pack car, a bit sharper and a bit more exciting. That’s impressive considering how much better the Comp Pack M4 is than the standard car. It also gets a bit of a power bump, to 454 hp and 442 lb-ft of torque. BMW claims 0-60 mph in 3.9 seconds, but the standard car can do that and this one is lighter and more powerful. So expect it to be quicker. It does have some bits of its own, though. For instance, the carbon fiber front splitter is unique to the M4 Cs, as is the little rear spoiler. It also gets BMW’s new Style 763M wheels as-standard, which look brilliant. Those come wrapped in its sticky Michelins as-standard as well. So not only is it more exciting to drive than any other BMW M4, it’s also better looking. It’s one of the best looking BMW M cars and probably only second to the M6 Gran Coupe. In this new video review from Autocar, we learn that all of this seems to have paid off for the BMW M4 CS. Not only is it much better looking, but it’s so much nicer to drive. BMW has really done a good job tuning the new chassis and suspension bits, as it feels like a more cohesive package and it is much more fun. Where as the standard M4 can be a bit twitchy and nervous feeling, and the M4 GTS is just too brutal, the new BMW M4 CS is the perfect blend of the two cars. If you want more of a daily driver, than probably stick to the M4 Comp Pack. But if you care about driving above all else, the BMW M4 CS is the best BMW M4. Next post What will BMW do about the Mercedes-Benz E-Class Coupe now?